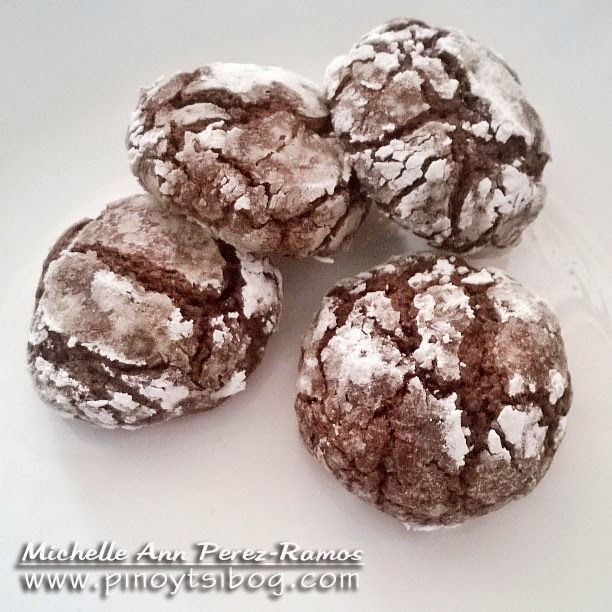 Chocolate crinkles are indeed heaven’s delight for everyone especially to those who loves chocolate. Well, who doesn't? I don’t know why I just tried to do this tempting treat recently but my first time won’t definitely be the last. Few ingredients and very easy to bake, everyone can do these. It is perfect for a holiday treat or even on a daily bite of happiness. Heat oven to 350° F / 180° F.. 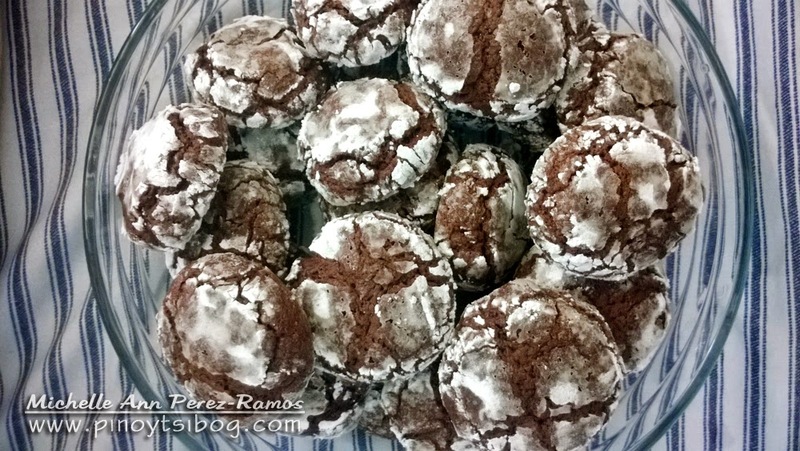 In a bowl, whisk together the flour, cocoa powder, baking powder, and salt. With an electric mixer, beat the butter and brown sugar on medium-high speed until light and fluffy, 2 to 3 minutes. Reduce speed to low and gradually add the flour mixture. Form dough into small balls, about a tablespoon. 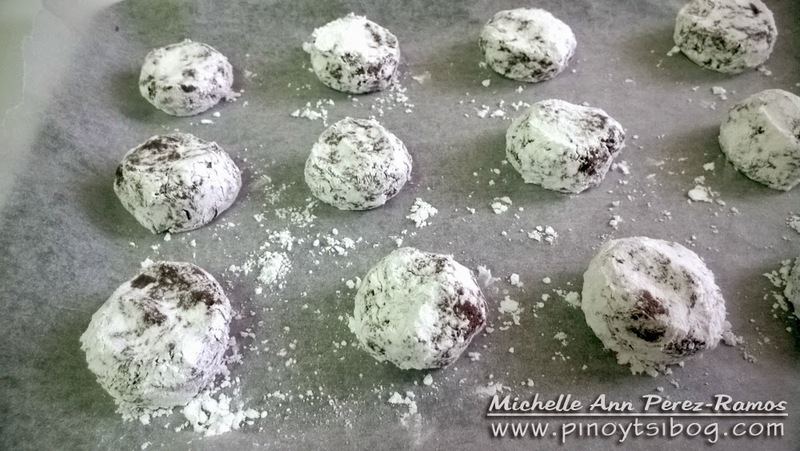 Roll the balls in the confectioners’ sugar and place on parchment-lined baking sheets, spacing them 2 inches apart. 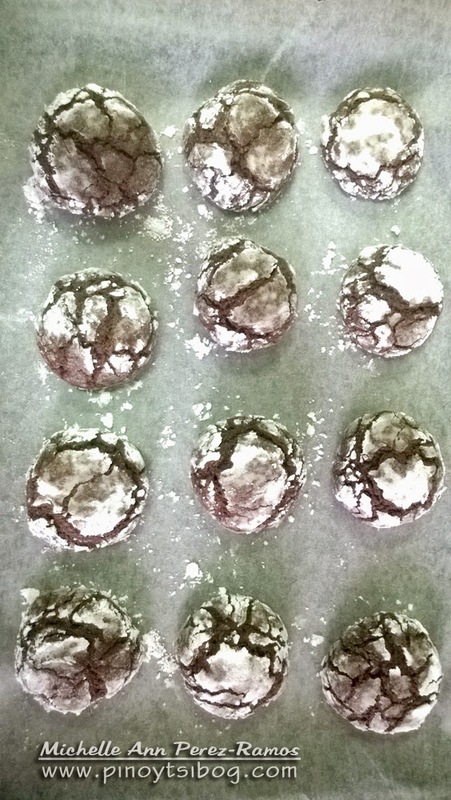 Bake for 12 minutes-14 minutes or until the cookies are firm and the tops crack. Cool slightly on the baking sheet.